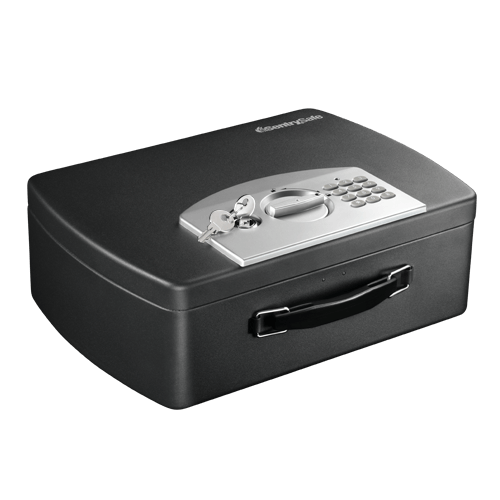 P021E Portable Security Safe is rated 4.3 out of 5 by 4. 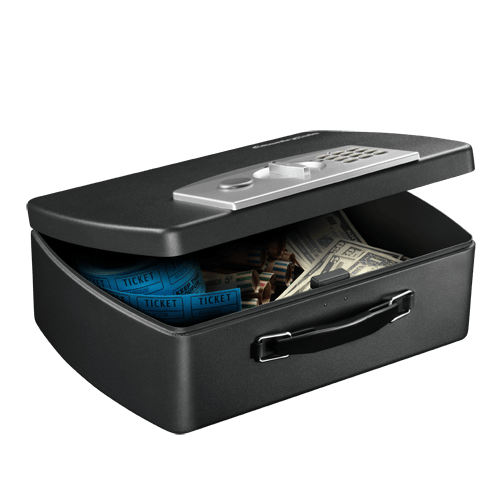 The Portable Lock Box P021E is designed to protect your compact valuables that are especially vulnerable to theft, including currency. Complete with steel construction, tethering cable and a carrying handle makes this safe ideal for your on-the-go security needs. 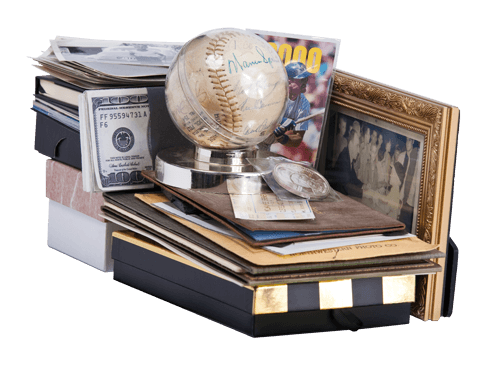 Rated 5 out of 5 by Teacher from Good size, seems strong enough to preserve items I like the size of this safe. I will use it in my endeavor to finish the day with pencils, as my students rob me blind daily. Rated 4 out of 5 by F Frank from Secure It’s perfect for my needs. But them putting to many requirements for this review is annoying. The product is good. Rated 4 out of 5 by Speedway from Digital Lock Box Perfect size for my needs and I love that you can use a key or combination. 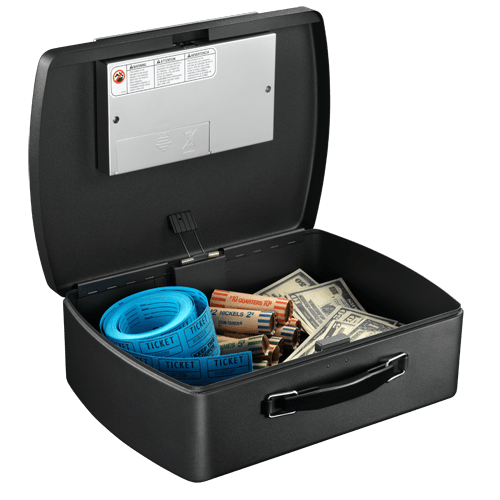 Rated 4 out of 5 by Timmycraw from Security Ease A product that I needed and now feel I can keep my personal items safe.